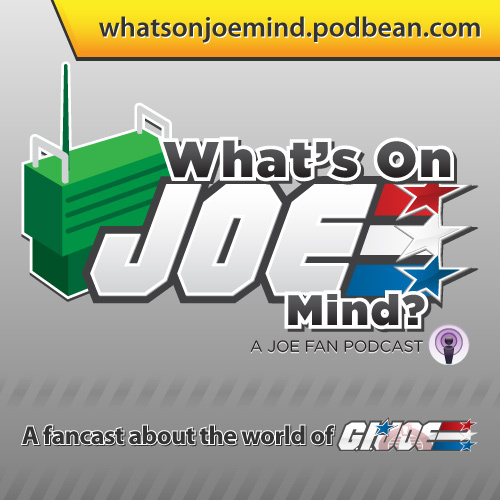 GI Joe Podcasting RETURNS: “What’s on JOE Mind?” is here! Ever miss chatting with your buds at JoeCon? Ever wondered what Joe Talk would sound like on the radio? Do you like Podcasts? If you answered yes to any of these you need to check out the Joe Community’s #1 GI Joe Podcast, “What’s on JOE Mind?” (WOJM for short) Every week JBL forum members General Hawk, Crosshair, Cmderinchief and new guy chuckdawg1999 review the news of the last week and interview community personalities, some you might even know yourself! Discuss it in our forums now and find links and notes to their past shows. Check out the story after the break to read more about the show. Head on over to the GIJCC’s official Convention site for the latest registration forms in PDF format. Many from JBL will be in attendance, will you? A super shiny mystery HISS Tank is showing up online. Starting with ACToys.net and spreading out, this is raising a lot of questions. Joe Con? Knock Off? Any relation to the Chromed Storm Shadows? Who knows, but take a look. What do you get when you mix chrome and ninjas? Well, for one, you get a better looking ninja and secondly, you get the STORM SHADOW FOREVER edition. I managed to obtain a pair and wrote up a small review to share with the community. Check out the review in this thread in the JBL forums. Enjoy! No, these are NOT Oscars! Yet another movie figure review for your surfing pleasure. Tonight we get a look at one of the new movie Scarlett figs! How does it stack up? Check it out and decide for yourself. Discuss more in our forum! I’ve managed to snag the new movie Ripcord fig. Obviously a figure and character of quite a bit debate. Will he be accepted by the community or not. Check out the pics – decide for yourself after seeing a bit more detail. Check it out and dicuss it in our thread already in progress…….. Thanks to ws_toys and his eBay Shop: Black Sheep Toys, JBL has obtained some new pics of carded movie figures. Included are much of the core movie characters in their powersuits AND a couple of TRU Exclusives. Thanks to JBL member WNightBlade, we now know a little bit more info about the GI Joe Video Game. He managed to get a peek of an early build of the game. Check out his report and discuss it in the forums here! A virtual flood of new HoH images came on the heels of those released by our friends at Reloaded. In addition, JBL has two exclusives, Flint and Commando Snake Eyes to add to the mix. Below is a complete list of links and the discussion threads in the JBL forums! You can view more images of Flint and Commando Snake Eyes in the forums. Discuss in the JBL Forums HERE! Four more are set to appear and when links become available, we’ll update the page!